These maps were created through collaboration of LA11 teachers to ensure our students were delving deeply into our readings with high-interest connections that bring the classics to life. The following prezis will be presented in this order throughout the course of LA11 to help students develop their answer to the essential questions for each semester. SEMESTER 1: How do America’s major literary works prove the necessity of literature? 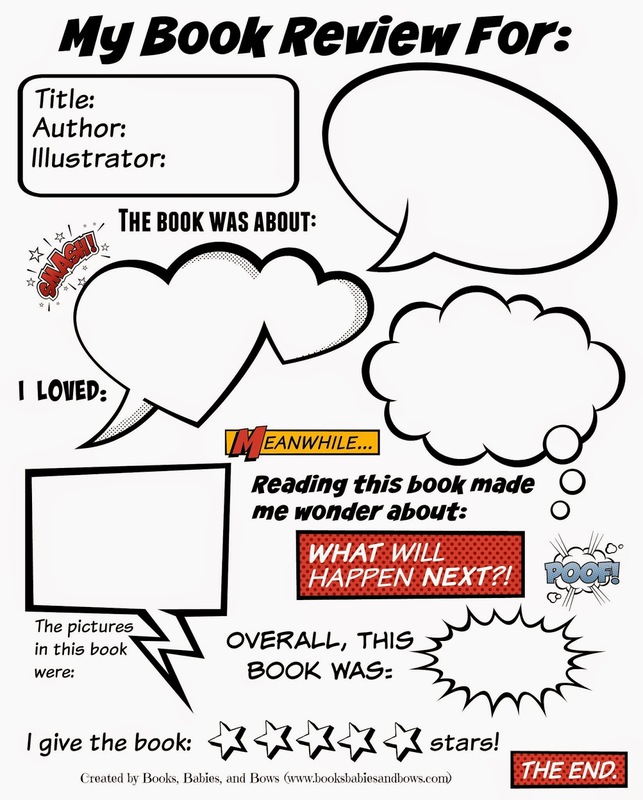 Lens Introduction: Reviews the essential question and supports the ideas with readings regarding Mortimer J. Adler’s 6 Great Ideas as well as uses a video that details “What is Literature For?” At the end students have completed pages 1-2 of the handouts and taped in their journal. Ralph Waldo Emerson: Begins with notes on Transcendentalism to be completed in journal, followed by notes on Emerson and directions on how to read “Nature” and “Self-Reliance” with a connection to Henry David Thoreau and “Resistance to Civil Government” utilizing the appeal chart (see below) and readings from the Holt Literature textbook. At the end, students have completed pages 3-4 of the handouts and glued in their journal. Civil Disobedience: Detailed notes on Henry David Thoreau and an introduction to Civil Disobedience along with the three types of appeals, logos, pathos, and ethos. Identify the types of appeals with an introduction to Banksy’s graffiti art. Read “Resistance to Civil Government” and see the connection to historical figures like Gandhi and Martin Luther King, Jr. through reading “On Resistance to Civil Government” and “Letter from Birmingham Jail” from the Holt Literature textbook. At the end, students have completed notes on Thoreau (p. 3), Gandhi and MLK (p.5) and the appeal chart (p. 223 #2) in their journals. Truth through Dystopia: Introduces the definition and components of a dystopia with examples from modern-day films. Cut and paste the dystopia elements from page 6 of the handouts. Kurt Vonnegut: Detailed notes on Kurt Vonnegut and a look at the dystopia characteristics in “Harrison Bergeron” and the film adaptation 2081. Sets up for viewing The Hunger Games through the lenses of transcendentalism and dystopia. Cut and paste Vonnegut notes from handout page 6 and complete items from prezi in journal. Ray Bradbury: Detailed notes on Ray Bradbury as well as daily activities for Fahrenheit 451 with expectations for group Time Capsule rubric pages 8-9 in the handouts. The daily activities also incorporate the lens charts pages 10-13—specific to student, make sure to complete the correct lens. Propaganda: Students take notes on the different types of propaganda while making an educated guess with the mini-posters provided. Students then use the information to create their own propaganda poster using one of the types created to show the issue they see in our world which also appears in Fahrenheit 451. Everyman: Introduces the definition of everyman and sets up students to read and complete SOAPSS for “And of Clay are We Created” by Isabelle Allende, “The Man in the Water” by Roger Rosenblatt, and “The Real New York Giants” by Rick Reilly in preparation for their first SBA practice using the NBC News article, “Heroes of Flight 93”. Cut and paste evidence for everyman statements page 14 in journal. Tape SOAPSS guide page 16-17 into journal to utilize with readings. New Historicism: Introduces the definition of New Historicism and looks at this lens through the life of Ambrose Bierce and “An Occurrence at Owl Creek Bridge.” Makes a connection to the history surrounding the Civil War, looking at the lives and stories of Frederick Douglass through the lens of Realism and Harriet Jacobs while detailing the events around Lincoln’s “Emancipation Proclamation.” Concludes with a connection to modern-day slavery. Cut and paste pages 18-23 of handouts into journal while completing items from prezi in journal. This sets students up to explore The Help for the argument of good vs. evil and to review our lenses pages 24-26 of the handouts. Sam Clemens: Detailed notes on Mark Twain and a look at the argument as to whether or not Huckleberry Finn is still relevant today and should be taught as a part of the required curriculum. Student’s take a side and support whether or not his story is still pertinent today, or if it should be replaced with another novel. Watch the videos and complete the assigned readings as shown in the prezi while completing pages 27-34. Lens charts are assigned to students. Make sure to complete the correct one. Modernism: Introduces the definition of Modernism by comparing what we know about Realism. Reviews Realism in “The Yellow Wallpaper”, but also introduces the idea of gender roles in shaping our place in society through reading multiple texts on the topic. Throughout this unit of study, students will complete “The Yellow Wallpaper” inferences and personal reaction p. 24-25 from the handouts in their journal as well as one of the evidence charts from p. 26-28. Having looked at these three lenses in the story, students will then delve further into feminism by taking notes on Women’s Rights from the video on the pictures of the flapper and Rosie the Riveter on p. 29. All of the readings suggested in the prezi can be found online by googling the title and author. Students should have annotated copies of each. Men/women and farmer/cowboy pictures can be found on p. 30 for entry-tasks. Gothic Literature: This PowerPoint shown in class goes through the 10 Gothic Elements as shown in p. 32-34 of the handouts. Students take notes on everything blue in the PowerPoint on the castle on p. 31. When they are finished with the notes, they read “Porphyria’s Lover” by Robert Browning and identify at least 5 of the elements in the poem. Edgar Allan Poe: Detailed notes on Edgar Allan Poe p. 36 and an introduction to his writing. Students follow along to “The Tell-Tale Heart” and identify evidence of the gothic in the short story. If time during the semester, students will write their own Gothic Story by following the steps on p. 35 after seeing the example in the next prezi. Great Gatsby Introduction: Introduces F. Scott Fitzgerald, The Great Gatsby, and the Roaring 20s. Students guided notes (p. 41-43 of handouts on the ideas presented to them to use throughout their study of The Great Gatsby. During “Life in the 1920s” video, students have time to chat with a partner to finish their notes and choose their lens (p. 44-49 in handouts—only 1 of the three—must be teacher-approved by showing notes; there is a limited number/class). Also includes audio for chapters 1-8 to follow along as we do in class and time given for the scrapbook group project (p. 50-53 in handouts). “Reading volume—the amount students read in and out of school—significantly affects the development of reading rate and fluency, vocabulary, general knowledge of the world, overall verbal ability, and last, but not least, academic achievement” (Cunningham and Stanovich). In other words, just reading, whatever you want to read, makes you a better reader. Therefore, on late-start Fridays students have our shortened period to dive into or find their own favorite type of reading. This is my way of re-igniting their passion for reading. The period begins with getting comfy and my reading a short story or poem to them looking for our literary and poetic devices for which we take a monthly Kahoot! quiz, and then their silently reading for 20-25 min. and ends with students working on our survey-driven contract we create which is completed over the course of the semester. The contract includes two book reviews (one of their own reading and one of the story or poem read at the beginning of class) as well as participation in our community circle discussions which are driven by the content of the books Students are required to read at least one book and complete at least one contract, but they can read and create as many extra contracts as they want. To earn an A, students can select any project option that incorporates at least 5 of our literary or poetic devices. Finally, if a student would like to go above and beyond (s)he can create a 10+ vocabulary list from the reading and create their own Quizlet and pass the test. Every Thursday students work on our class set of Chromebooks in our Google Classroom to write about the reading and exploring we have been doing throughout the rest of the week. Over the course of the semester, students will select at least one of the writing options and work to improve their writing through a drafting and feedback process. Once a student reaches the level of writing (s)he desires, (s)he will select another option and begin anew. As can be seen, there is a large variety to select from, so students have the opportunity to write creatively, persuasively, and/or analytically.